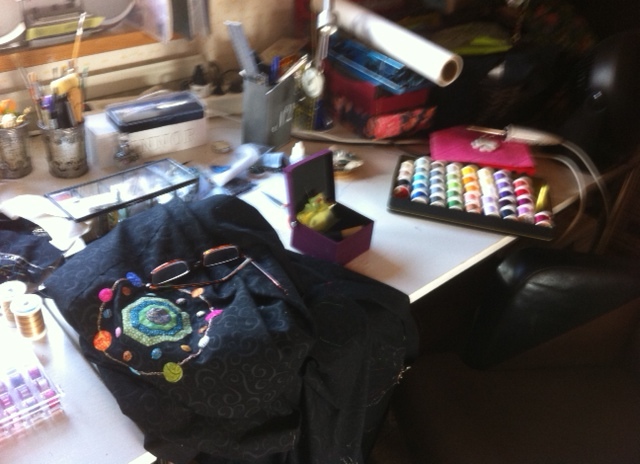 Bored out of my skull I decided to try to sit at my sewing table and do some re-work at the octagons. 15 minutes was what I could stand, but better that than nothing. 15 minutes was what it took to re-stitch two halves of an octagon. In that pace I will be finished round the time I have to get back to work LOL. Well that is progress!!! Not much, but more than in the last few months!! !